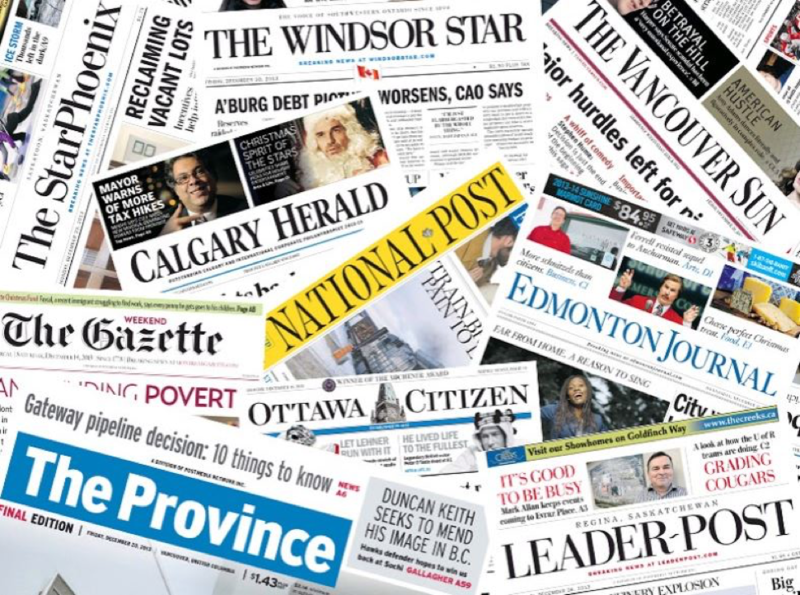 There has been a steady stream of departures from Postmedia over the summer months. Martin O’Hanlon, the president of CWA Canada, a union which represent a number of Postmedia newsrooms including the Ottawa Citizen, Montreal Gazette and the Regina Leader-Post, said in an email to J-Source that there was a “relatively small” number of departures through the voluntary buyout program. 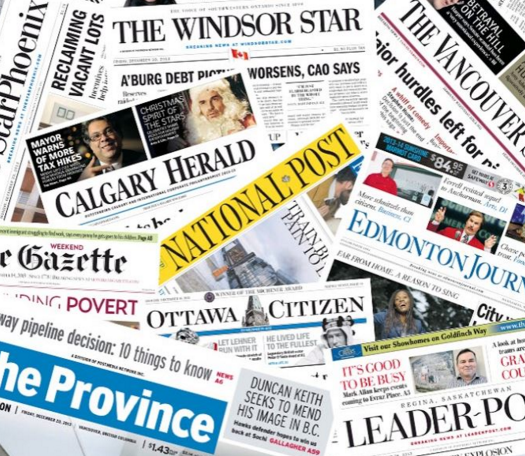 There were a total of four people whose buyouts were accepted at the Ottawa Citizen. At Unifor Local 2000, which represents workers at the Vancouver Sun and The Province, 12 people were accepted for buyouts according to local president Brian Gibson. (All but one have already left the company and another employee resigned). “The percentage cut in staff at PNG (Pacific Newspaper Group, publishers of the Vancouver Sun and Province) is about 7.5 per cent,” he added. At the Windsor Star, there were five buyouts approved among Unifor Local 240 members, and two approved for management. Another member retired, according to local chairperson Julie Kotsis. Some employees were not approved for buyouts, including four in Winnipeg. O’Hanlon said at the Ottawa Citizen, two buyouts were not approved because the staffing levels were too low. There have been no reported layoffs according to CWA Canada and Unifor representatives contacted by J-Source. 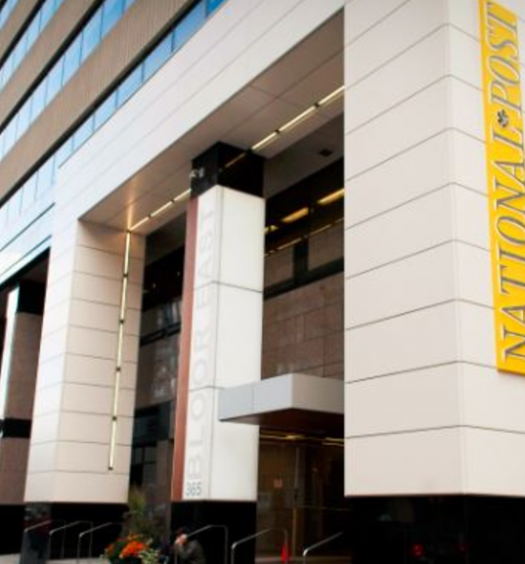 Among the staffers who left Postmedia over the summer, via buyouts, retirements and other job offers, are award-winning journalists and those who have over 30 years of experience in the industry. We will continue to update this post as more information becomes available. To add a name to the list, please contact J-Source’s managing editor H.G. Watson at hgwatson@j-source.ca. Our newsroom lost some great people this week. @HealthIssues and I spent time in Innu territory during a suicide crisis in 2015. She was at once so compassionate and resolved to tell the story. Watching Charlie work was a crash course in interviewing. 38 yrs of ink stains, 31+ at the Citizen. Friday is my last day on staff. My choice. What fun we had. Thanks for reading. More to come. In other news, today is my last day reporting for @edmontonjournal. After 32 years, I'm retiring to travel, maybe look for contract work and mostly find the three hobbies my wife requires to keep me out of her hair. Some personal news. I've taken a voluntary buyout from Postmedia and yesterday was my last day at the Edmonton Journal. I will miss all my wonderful colleagues but it is time for a change. Some personal news. Last week was my final one with the National Post. After 20 years, I decided to take a buyout and move on to new professional challenges, specifics to be determined. So before any more NAFTA news breaks, some ~personal~ news: Today is my last day at the Financial Post. Next month I join Yahoo Finance, which is expanding its coverage of Canadian business. So grateful for my time at the Post, and the chance to work with such an incredible team. After 40 years in journalism and about 30 at LFP, I am retiring today. It has been a honour to work with a crazy, courageous tribe of journalists over the years who kept the faith even as the business model for print crumbled. After 30 eventful years in the newsroom — including 12 years as an arts reporter and 13 years as city columnist — today is my final day at the London Free Press. It's been grand. But like somebody said: "Newspapers. They'll break your heart."